I'm a longtime DSE member. This is one of my favorite races. 2017 will be my 8th. It's not for everyone - It's not just the hills (though there are plenty) and it's not only the steps (lots of those, too). What really makes this race the madhouse of trail runs is the perversity of the handicapped start times. With this handicapped format, every runner is forced to deal with a barrier much more difficult than hills or steps: other people! The slowest start first and the fastest start last. If this race were run on roads, this would be no big deal. But these ain't no roads! 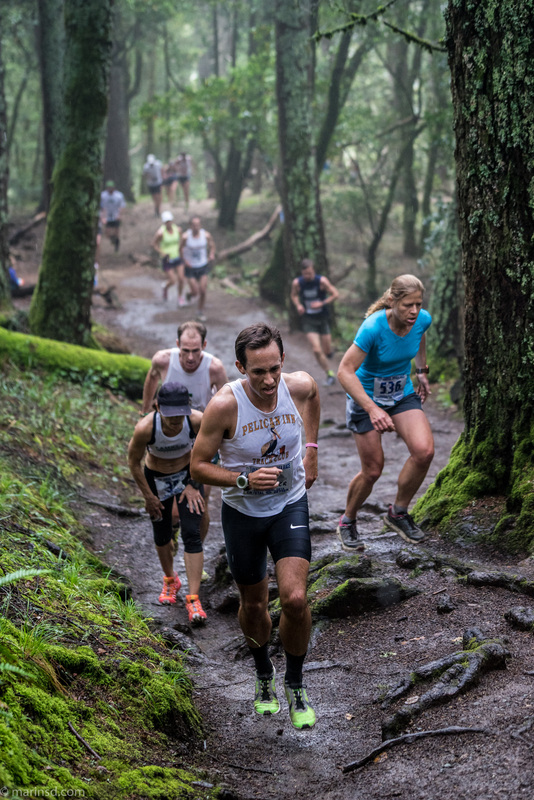 Mostly single-track from start to finish, virtually every runner is put in a position of constantly passing and being passed from in front and behind the entire race. It's hard to imagine designing a race that would make it more difficult to simply run the trails. As course record holder Alex Varner put it: "Finding ways to safely get around all the other runners and deal with the constant passing is a major part of the race." He should know. He won in 2012, 2013 and 2014, and every year he had to pass every runner on the course going out and coming back! Fast or slow, as long as you can make the cut-offs and are ready to deal with the stress of so much passing (and being passed), we're happy to have you. 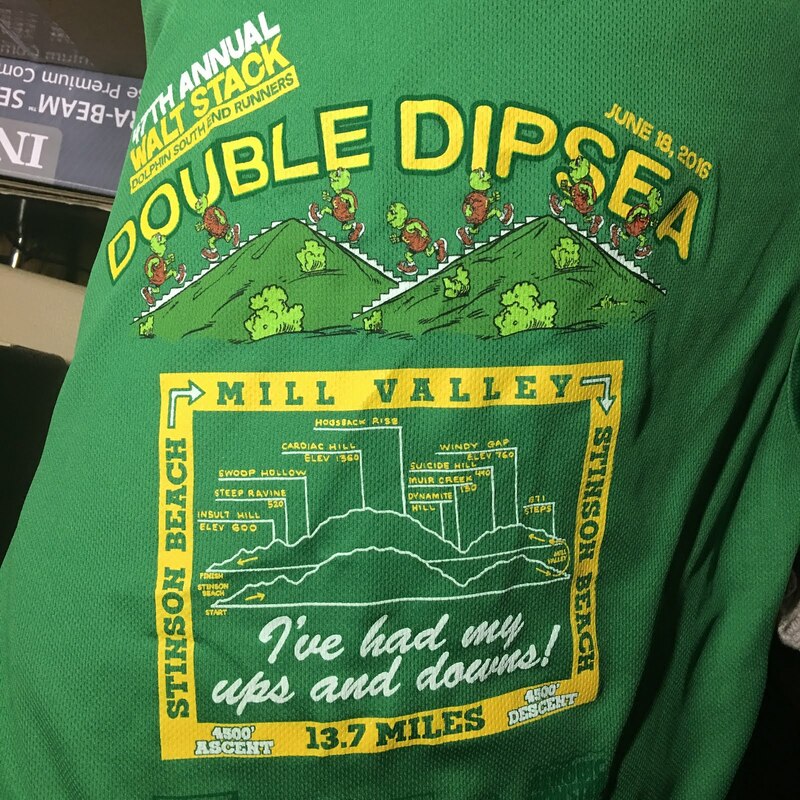 Walt Stack and the Dolphin South End Runners may have created a sadistic course, but the race (like all DSE races) has always been and will continue to be welcoming to runners of all ability levels. It begins at Stinson Beach, runs the length of the Dipsea Trail to Mill Valley then back to Stinson Beach. Epic views, adventures -- and lots of stairs -- await you! 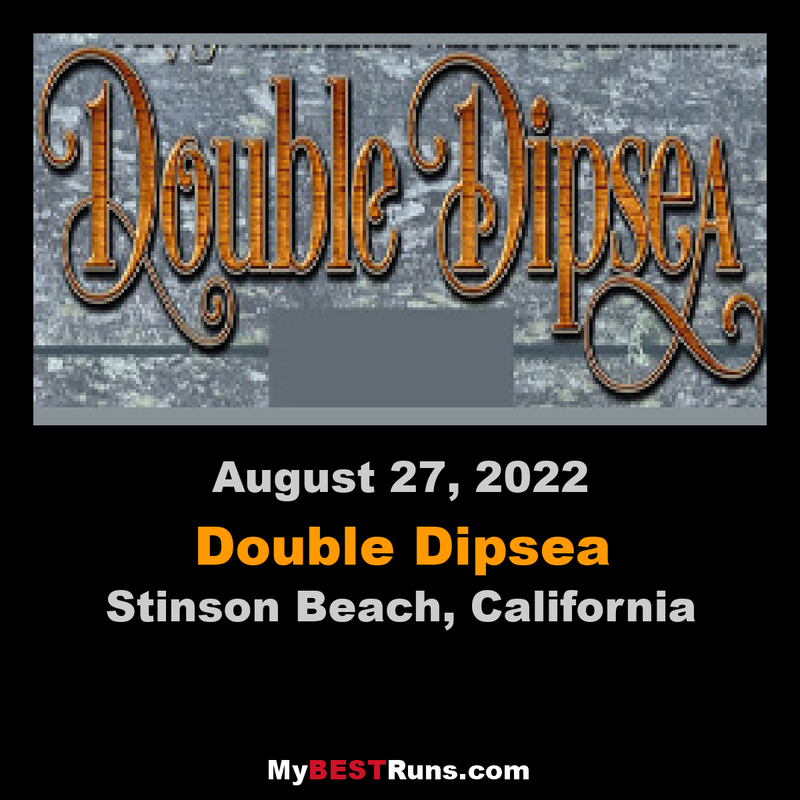 The Walt Stack DSE Double Dipsea race is a handicap race. If you've never run a handicap race before you'll find that it gives you a whole new perspective. Instead of everyone starting at the same time, runners are grouped together in wave starts. If you are a slower runner the handicap will give you a big head start. If you're normally one of the lead runners you'll have to work hard to catch everyone! We all tend to run in the same circle of friends at every race. This gives you a chance to meet new people and to say hello to a lot of people who normally are either in front of you or behind you. More information on the handicapped start times can be found here. To improve the safety of all participants, headphones and trekking poles will not be allowed on the course.